We have chosen to model 2 stations – the branch terminus Hemyock (renamed Hemlock for our layout) and Uffculme in an end to end layout format 25 feet long overall. 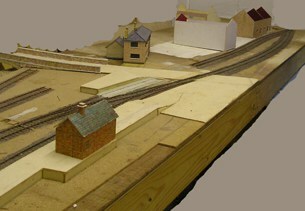 The layout has been designed so it can be either exhibited as a whole or just one station – Hemlock (currently able to exhibit) or Uffculme (currently under construction). 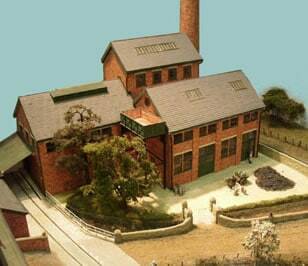 Culm Valley is a project that comprises two individual 3mm scale layouts – Hemlock and Uffculme. It is based on the Culm Valley Light Railway which was opened on 1st June 1876. Two of its stations were Hemyock and Uffculme. This branch line was designed by Arthur Cadlick Pain and connected to the main Paddington to Exeter line at Tiverton Junction. We have used the name Hemlock rather than Hemyock because we have added the canal scene. 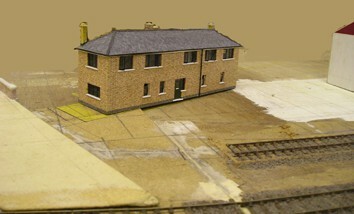 The model, which is built to a scale of 3mm, is based on the Culm Valley Line. This was built as a light railway from Tiverton Junction, on the main line from Paddington to Exeter, to Hemyock Dairy (the chief source of traffic) just outside the Village. The line actually comprised 5 stations two of which were halts. The light railway, which took three years to build due to the workmen defecting to work for the local farmers at harvest time, enjoyed nearly four years of independent life before being purchased, somewhat unwillingly, by the Great Western Railway Company in April 1880. The last passenger train ran on 7 September 1963 with goods continuing until final closure in 1975.